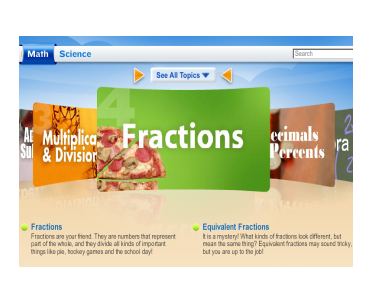 To begin these activities start on Fractions, in order complete -fractions, compare fractions, simple form, add and subtract with like denominators, add and subtract mixed numbers, least common multiples, equivalent fractions, ordering fractions, add and subtract with common denominators, fractional sets, decimals and fractions, greatest common factors. Read the following paragraphs and choose the correct answer for each question. To begin these activities start on Landforms, Rocks & Minerals, in order complete -Landforms, volcanoes, lithosphere, igneous, metamorphic, soil earthquakes, weathering, minerals, sedimentary, rock cycle, fossils. Read the following paragraphs and choose the answer for each question.